Korean stars at the finest level! South Korea has been constantly producing great potential players in the last few decades and 2015 is again going to be a huge year for these players! In this article we will be talking about 이강인 (Lee Kang In), 류승우 (Ryu Seung-Woo), 김영규 (Kim Young-Gyu “Kiu”), 백승호 (Paik Seung-Ho), 장결희 (Jang Gyeol-Hee), and the infamous 이승우 (Lee Seung Woo). All these players have heard the word “Chookgushindong 축구신동” which means Football Genius, at one point or another. Born in 2001, this player is famous for his TV show “Shootdolee 슛돌이” in 2007. He joined Incheon United academy from this TV show and moved on to Valencia youth team in 2011. At 15, he is already considered the ace in the team wearing the proud number 10 and will do greater things. Even the professional players are acknowledging his talent at this point. Dribbling, set pieces, shooting, you name it, he can do it. Although his recent injury has made him unavailable for the olympics, this 21 year-old recently signed a new contract with Bayer Leverkusen for his great form at Eintracht Braunschweig on loan. His career development has been moving at such fast speed. 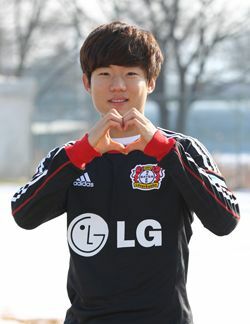 From Jeju United, he was loaned to Son Heung Min’s team and in December 2014, he signed the permanent move to Bayer Leverkusen and loaned out to Branschweig for further development, all within the year 2014. Let’s hope that his talent grows for his future. He has played 13 games and scored 4 for Eintracht Braunschweig. He has already made the debut for the top flight club Bayer Leverkusen and might be the first to make his name out of this list. Already a senior member for La Liga, KIU is one player that cannot be missed out of this list. Born in 1995, Kim has spent his youth academy life at Real Madrid, Valencia and Almeria. Now he plays for Almeria senior team and will be a great addition in the future. His fast pace and ability to run through defenders is considered top quality. Next is our FC Barcelona Players Paik, Jang and Lee! Probably my personal favourite out of these members. He is one classy and clean team player in my perspective. Born in 1997, his movement, touch, passing and set piece skills are being closely observed by many clubs and highlights his talents as the next generation. This central midfielder continues to shine as he controls the pace and flow of the games at Juvenil A. Born in Seoul, Korea, 1998, Jang transfered to the infamous FC Barcelona academy from Pohang Steelers. After 3 years of impressing the scouts, he moved up to the youth members of the team. The Left Winger participated in the 2014 U-16 Asian Cup with his partner in crime, Lee Seung-Woo. Already famous as the Asian Messi, Lee Seung-Woo is definitely one to be excited for. His confidence is growing constantly and is already known for his celebrity smirk. Also born in 1998, the superstar is grasping the world by his hand. He is currently being scouted and tempted by his rivals Real Madrid. Scored 5 and assisted 4 in 5 games of 2014 AFC U-16. Although the Taeguk Warriors lost in the finals to Democratic People’s Republic of Korea, this little gem could very well be a foundation for South Korean Football. Check out this clip showing his talent in the 2014 AFC. Thank you for introducing 축구신동들 ㅋㅋㅋㅋ 기대되는 친구들이네요!!! and thanks for the video clips!